Women’s Morning Tea this Wednesday 15 October. 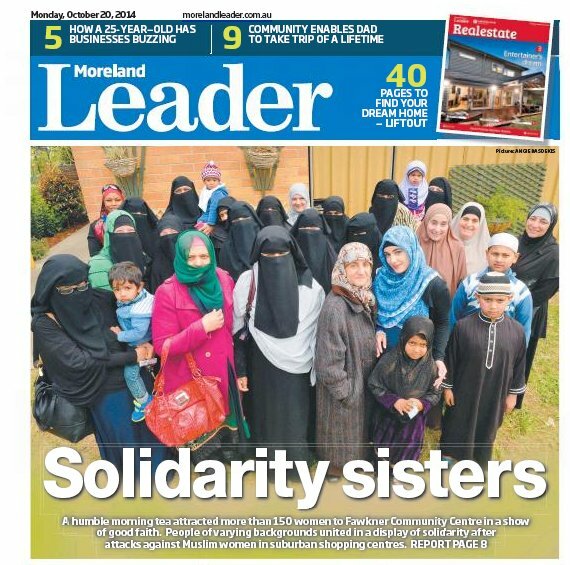 This is a special morning tea for women of all cultures and faiths to talk about what we can do to support women in the local Muslim community so our society is a safe and welcoming one for everyone. Senator Janet Rice, Victoria Police and our local Councillors will be joining us. 10.30am – 12pm. Babies and children welcome. Supported by Fawkner Community House and Senator Janet Rice. We want at least 3 things Council and the Aust government can do to help #muslimwomenfawkner.